My parents were highly enamored of the Southwest, and so I became kind of by default. My dad in particular was fond of Kokopelli, and drawings I have done of that legendary figure may appear here eventually. 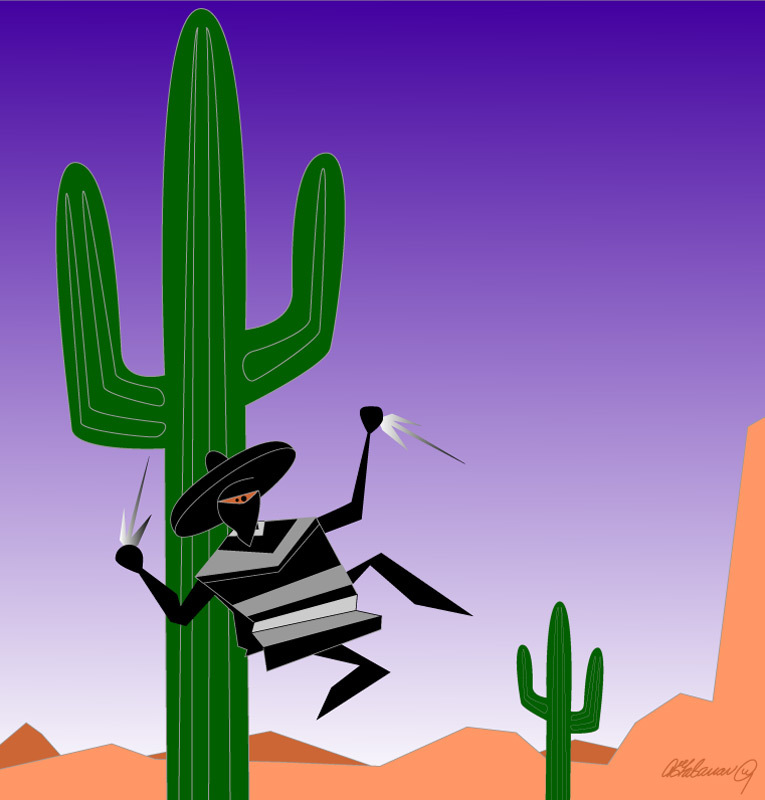 One of the oldest "icons" of the Southwest is the serape-and-sombrero clad man napping at the foot of a saguaro cactus. So, when a friend proposed the idea of a Southwestern ninja named "Ninjito," I couldn't resist giving the old standard a new twist. That guy in the serape and sombrero? Totally not napping. LOL, I think I like this one better. It's so funny, kind of trendy. "A person's a person no matter how small"